Hi there lovely people! You may have already noticed but I'm a big Chloe fan. Today I would like to introduce my newest friend: Aurore! Last weekend I went out and tried to open my wallet and all of a sudden the zipper got stuck. I couldn't open it anymore and stood there feeling sad that my old friend who had been with me to so many places had finally given up on me. As sad as I was I quickly used the opportunity to go out and purchase a new wallet, which according to my husband, I was long overdue for. 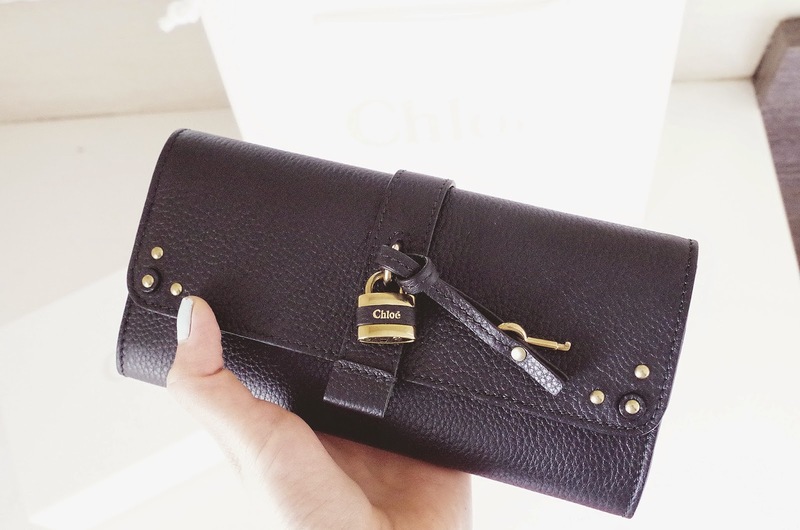 I really like the Chloe Aurore design since it has a lovely lock in the front which reminds me of Pont des Arts in Paris. It's such a stylish detail! I also realized that this wallet has many convenient card pockets inside which will help me stay much more organized than before. 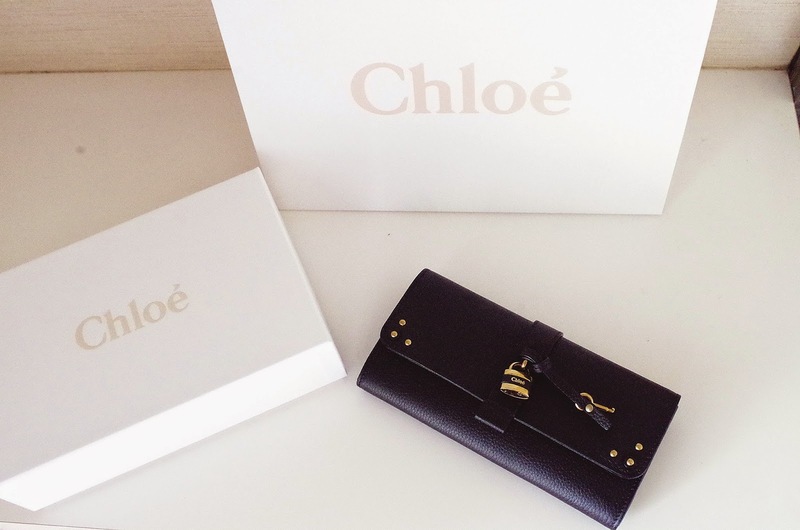 Chloe is definitely one of my favorite brands for now. What brand are you in love with these days? I like it! And my favorite brand for now is Michael Kors.